Tower cranes signal a place of change. Found primarily in cities, these metal obelisks mark the location of new or under-repair buildings on which personnel operate in elevated work environments. The concentration of the world’s 100,000 cranes are distributed based on their demand. Dubai by far has the most, with 1,000 active cranes in its skyline. 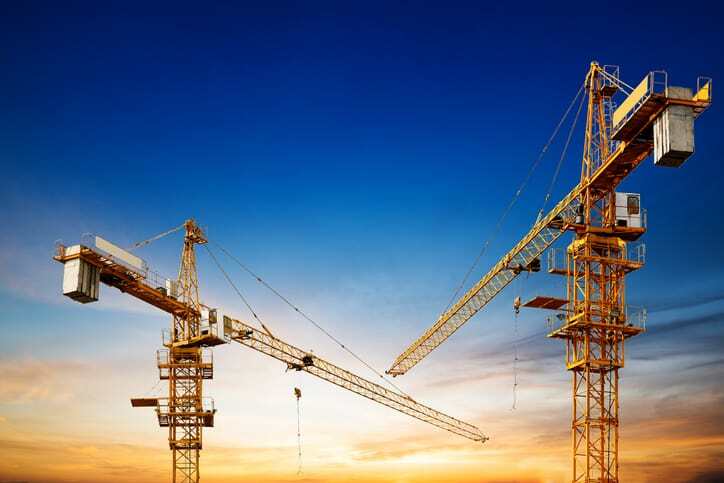 Much like how the world shares an assemblage of tower cranes for completing construction tasks, there are numerous international standards that assure shared efficiency and safety in the use of tower cranes. Part 3 of the ISO 8686 series of international standards, ISO 8686-3:2018 – Cranes – Design Principles For Loads And Load Combinations – Part 3: Tower Cranes, is focused on tower crane loads. Tower cranes used for construction work are exclusively equipped with a hook as the load-handling device. Considering that these construction cranes often need to operate at elevation with varying loads and wind speeds, there is a need to prove their strength and stability. Design loads of tower cranes should take into account the most unfavorable effects than can be expected throughout the crane’s lifespan. ISO 8686-3:2018 establishes the application of ISO 8686-1 (which covers the general design principles for loads and load combinations of cranes) to tower cranes for construction work as defined in ISO 4306-3 (which outlines vocabulary relevant to tower cranes). ISO 8686-3:2018 establishes load and load combination design principles of tower cranes, considering dynamic factors, out-of-service wind, out-of-service wind from rear, out-of-service wind from front, out-of-wind-service from side, and loads caused by erection, dismantling, and transport. ISO 8686-3:2018 – Cranes – Design Principles For Loads And Load Combinations – Part 3: Tower Cranes is available on the ANSI Webstore.